Everyone wants a little bit of romance for the Valentine’s Day, and that includes your dating site users. Let’s talk about how you can make this day truly festive and help people not to be alone on this day, be it over-commercialized or not. If you run a dating community in a small location, or across several locations where you have direct contact with the site members, try organizing offline events — the get-togethers where singles would be actually able to see each other and talk. It can be a massive candlelit dinner or a speed-dating event. Let singles not be single this Valentine’s! Send your site members an email invitation to an event, or simply a selection of eligible singles (also your site users) in their area to prompt them to meet. At the same time try making your dating website the ultimate online meeting space, and a fun place to be this holiday. 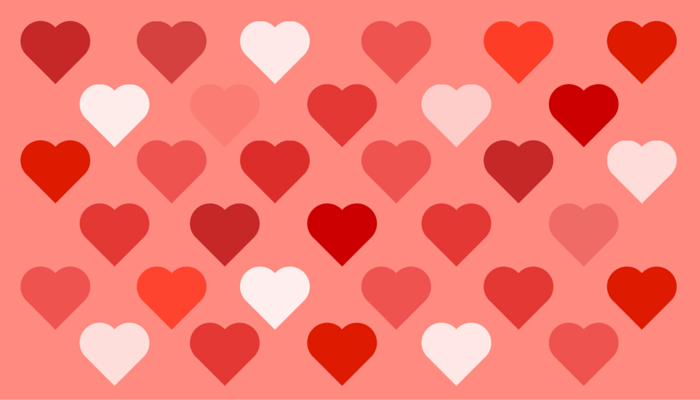 Add animation with heart-shaped elements to your site pages. It may seem trite but actually adds a lot to the atmosphere on the site. Add hearts to your site logotype or otherwise decorate your logo/brand image to mark the holiday. Write an article or series of articles with the relevant content and promote it in social media. See if you have any positive feedback from couples who met through your service and include it into the newsletter and into ”Success stories” section on the site. Great customer feedback always works wonders. Launch a special campaign with gifts, a chance to win premium membership, or some other premium feature. What’s a holiday without freebies. Offer your clients an incentive to bring single friends to your site. Throw in an extra gift if the friends sign up directly on the Valentine’s Day. Give your site members a gift of companionship and good mood this festive season, and they will return it twofold.